Time waits for no-one, so time-stamp this entry as when we look back at this entry in the near future even the things discussed below will be out dated. I'm talking about the fast-changing and sometimes strange trends which influence the promotional market, and in particular the ‘tech’ sector. Technology products are, by their nature, usually sleek, powerful and reflect popular tastes in design. However, that’s not always the case! Product life cycles are shortening rapidly, with digital photo frames and handheld video cameras becoming just about obsolete in the face of the rapid expansion in ownership of smartphones and tablets. Current trends in global technology will also probably see the demise of other mainstream promo items such as the computer mouse and computer flash drives over the next three years or so, as touch screens, voice and retina control and ‘cloud’ storage transform our digital lives. In the mean time, USB's are still a frequently ordered item by our customers and we have orders going through every week for these. 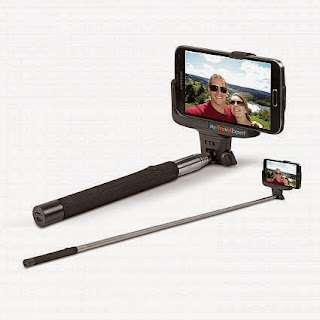 One of the latest fads that's done the rounds is the Selfie Stick, the ultimate tool in self-portraiture for the selfie fan who has to have it all. In this product, a Bluetooth remote control is coupled with a telescopic pole featuring a clamp for your smart phone that enables the user to take remote-control selfies at the touch of a button. It’s a tough time to stay in touch with what’s hot and what’s not, so we as promo experts have a key role in advising our clients which promotional gadgets they should be considering for this time next year. We regularly conduct massive overseas buying trips and invest heavily in keeping "in the know" as to what will be hot and what will not. The selfie stick is not the only passing fancy. How about the Bluetooth umbrella? This brolly senses when it rains, plays a tune and allows you to take calls through the umbrella itself or using smart phone gloves with built in microphone and Bluetooth, allowing the user to literally ‘talk to the hand’! 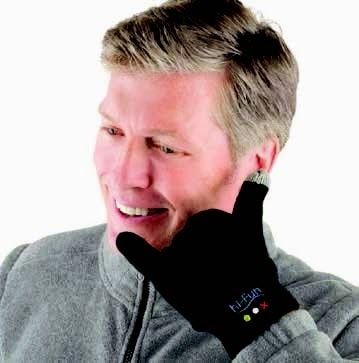 Beanies are now enabled with Bluetooth too. Also trending right now are fitness brands such as the below which we supply that are made out of water resistant soft touch TPU. 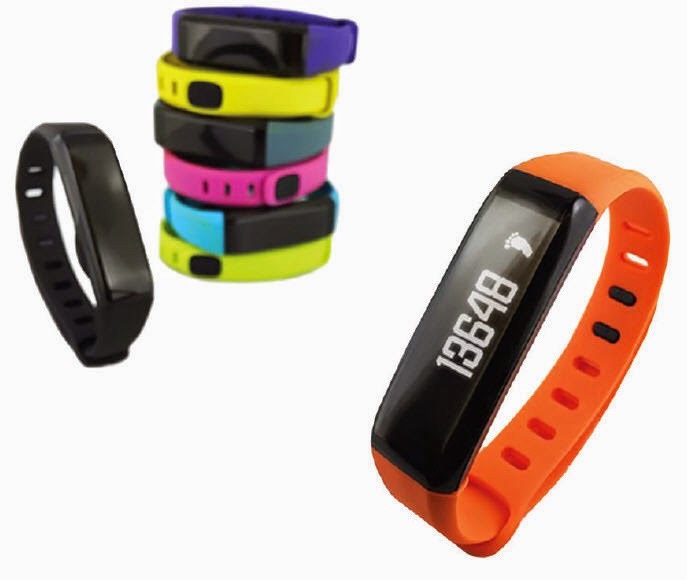 They are a Bluetooth Activity band / watch worn around the wrist with OLED display. Allows the user to monitor activity levels and overall lifestyle. Includes time feature, tracking / monitoring goals for steps, activity, speed, sleep patterns, etc. Or, staying on the same theme, how about this item - A clever health gadget that allows you to monitor how much water is being consumed during the day. 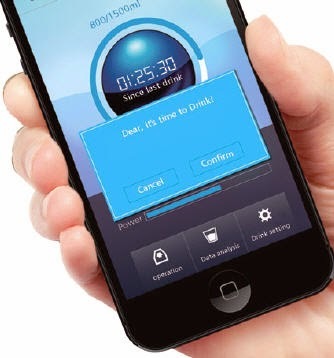 A free app allows you to set targets for your water consumption during the day and then links this data via Bluetooth to the water resistant coaster. Another product that mixes health and technology. Another massive trend currently is for ‘portable power’, or the ability to keep business devices charged and connected for longer. Power banks are now coming in literally all shapes, sizes and styles! Some of the more creative are even shaped to look like ancient stones – handy accessories to take camping with you – or with suction cups built in to attach your device while charging. One thing’s for sure – this particular promotional gadget will be around for quite some time – at least until smart phone and tablet manufacturers find a solution to extend battery life, as typically, current models tend to run out about three-quarters through every day of their use. Until the time that problem is solved, we in the promotional market continue to have a lucrative and fashionable technology gift which is guaranteed to be used each day – and hence act as a strong ‘brand reminder’.